Grouts in Construction & Their Types! It should first of all be accepted that cracks of some type are unavoidable in any structure. Cracks may appear in structures, either at the initial stage or with time. Cracks can be sealed by using various materials; one of which is grout. A grout is any viscous (thick and sticky liquid which does not flow easily), packable material that can be used to fill the space between two elements for bonding them or to create a water-tight seal. Grout is generally a mixture of cement, sand and water used to fill gaps. They are used in the repair of concrete cracks, fill seams and gaps in tiles, seal and fill gaps for waterproofing, and for soil stabilization. It is also used for giving extra strength to the foundations of load-bearing structures. Here we have tried to give some basic information of grout and its type, which a homeowner should know, before carrying out work on cracks. Ordinary Portland Cement Grout: This is the most common type of grout used for repair of concrete cracks. Wider cracks can fill up using OPC grout as they have the particulate size of 15 microns. Microfine Cement Grout: It is finely ground slag, fine fly ash, or Portland cement that are all mixed with water for allowing penetration into the fine cracks. Silica flume or any other fine pozzolana can be used with microfine The particulate size of microfine cement grout ranges from 6 to 10 microns. Ultrafine Cement Grout: They are used for sealing very fine to hairline cracks. They have particles of size 3 to 5 micron. Chemical grouts consist of polymers such as acrylic, polyurethane, sodium silicate, epoxy or any other suitable polymer. Chemical grouts are an emulsion of water and liquid resin. Chemical grouting requires injection of specially formulated chemical grouts into finer cracks that cannot be possible by cement grouts. They can be applied in moist environments and can fill very fine cracks. Acrylic grouts possess flexural and tensile properties. It allows less penetration of water. Acrylic grouts are used in sealing cracks in exterior walls. Epoxy grout is an excellent material for grouting applications that require high strength. Epoxy grouts are non-shrinkable, viscous, and are very effective in sealing cracks. They have good adhesion with almost all building materials and have good chemical resistance. Polyester grout is used for anchoring to impart strength to foundations that must be achieved in limited available space. It can also be made to have special characteristics such as fast setting, free flow, no-shrink and others by an addition of different additives as per the end-user requirement. Non-shrink grout is useful for sealing of cracks where shrinkage cracking is anticipated. Such grouts are specially formulated and have a special blend of cement, aggregates, and other additives to compensate for possible shrinkage, flowability and setting time considerations. Non-shrink grouts are also used for connecting precast concrete sections. 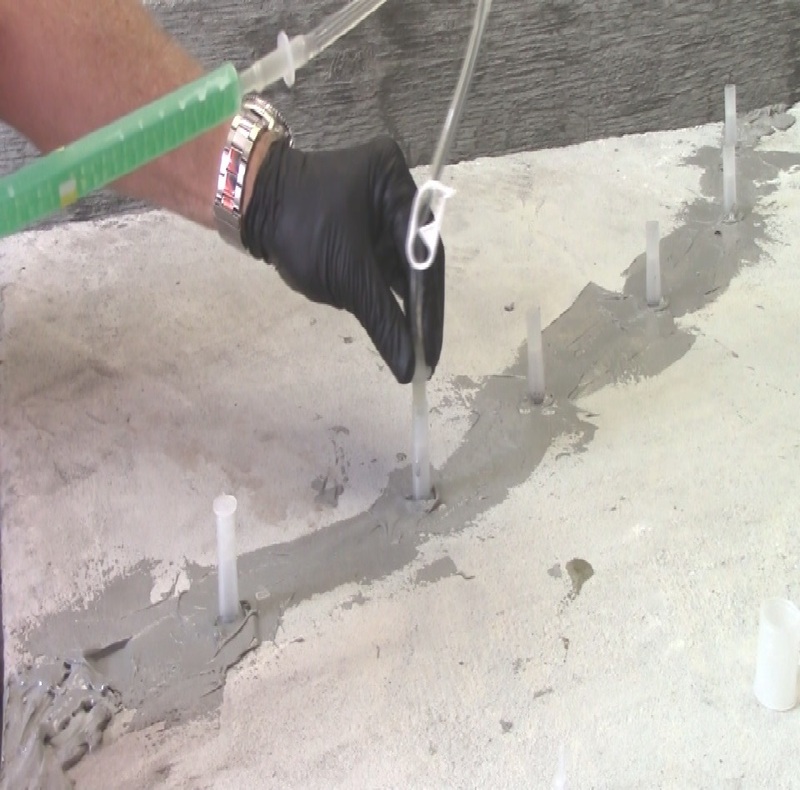 What are the Concrete Admixtures?